Articles for October 2010 Year » SoftLab-Portable.com - Portable Soft! Working Smarter just got easier with Lotus Symphony. Award-winning office productivity software from IBM that is easy to use and provided at no charge. There are three applications that make up Lotus Symphony: Lotus Symphony Documents, Lotus Symphony Spreadsheets, Lotus Symphony Presentations. Lotus Symphony puts you in charge – take control over spiraling upgrade costs, ensure access to documents well into the future with new standard file formats (ODF), get more from your current investments with support for Microsoft Windows and Office file types. Create, edit, and share documents, spreadsheets, and presentations with the integrated version. AV Music Morpher Gold is a powerful music editing software with real time morphing and audio file manipulating tools. Change voice & tempo, add beat, apply effect in real time or morph to new file. Extract or remove voice out of a song. Copy, cut, paste audio file in wave chart. Around 100 effects to apply, edit/mix. Supports mp3, mp2, wma, wav, ape, ogg, au, and irc. Alternative for Sound Forge, MusicMatch, Windows Media Player. Best with Kazaa, Morpheus, iTunes, iMesh, and Napster. Introducing next generation media player for PC. Watch High Definition movies and digital television (DVB-T). Enjoy the best video quality and unique user experience. Watch your HD recordings and movies on your PC. Play all your High Definition MPEG-2 and AVC/H.264 camcorder clips and movies, incredibly fast, smooth and without problems. You don't need any additional codecs. Download, install, watch. It takes about one second to start application and High Definition video playback! Rediscover Digital Television. Watch, timeshift and record high quality DVB-T television with pleasure. Easy navigation and fast channel zapping. Rediscover standard television with high quality and power saving image post-processing technologies, optimized to work with desktops, notebooks and netbooks. Looking for a smart ringtone maker to turn your beloved songs or video soundtracks into ringtones for your iPhone, BlackBerry, Google phone, Windows Mobile, Nokia, Motorola, Sony Ericsson, LG, HTC or other mobile phones? 4Media Ringtone Maker can make ringtones from just about any popular video (even HD) and music format to MP3, WAV, M4R, AMR, M4A or OGG format. 4Media Ringtone Maker is the ultimate solution for making ringtones in MP3, WAV, M4R, AMR, M4A and OGG formats for almost all mobile phone types including the iPhone. This ringtone maker can create ringtones from all popular video and music format files including AVI, MPEG, WMV, DivX, MP4, H.264/AVC, AVCHD, MKV, RM, MOV, XviD, 3GP, WMA, WAV, RA, M4A, MP3 and so on. The latest and greatest new additions to LimeWire. BitTorrent Support Built-In: Many ways to get files - all in one application! Better Control Over Shared Folders. Revamped sharing options give you finer control over what goes onto the network. System Tray Notifications. See when your downloads finish, no matter what app you're in. Mojito DHT (Distributed Hash Table) Support. Better locates those rare files and makes it easier to resume stalled downloads. TLS (Transport Layer Security) Support. Keep your connections safe & secure. All-in-one audio converter for audio conversion and extraction, 4Media Audio Converter is the perfect choice for converting among all sorts of audio formats (including MP3, WMA, WAV, AAC, FLAC, OGG, APE), extract audio from different format video and HD-video files (AVI, MPEG, WMV, MP4, FLV, MKV, H.264/MPEG-4 AVC, AVCHD). 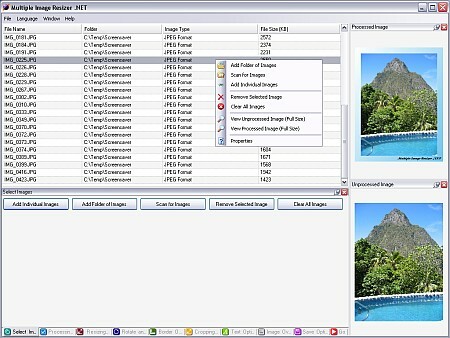 With this versatile audio converter, you can choose to convert an audio segment or several files at once, split a file into sections, simultaneously output a file into several formats and to the required size, adjust conversion parameters, edit ID3 tag info, add various audio effects, along with a variety of other great features. Moreover, high-speed audio conversion is possible with multithreading and multi-core CPU processing supported. RealTemp is a temperature monitoring program designed for all Intel single Core, dual Core and quad Core processors. Each core on these processors has a digital thermal sensor (DTS) that reports temperature data relative to TjMax which is the safe maximum operating core temperature for the CPU. As your CPU heats up, your Distance to TjMax will decrease. If it reaches zero your processor will start to throttle or slow down so obviously maximizing your distance away from TjMax will help your computer to run at full speed and more reliably too. Stay up-to-date with your software. UpdateStar offers you a time-saving, one-stop information place for your software setup and makes your computer experience more productive. UpdateStar covers all of your freeware, shareware, demos, commercial software, and includes special offers. 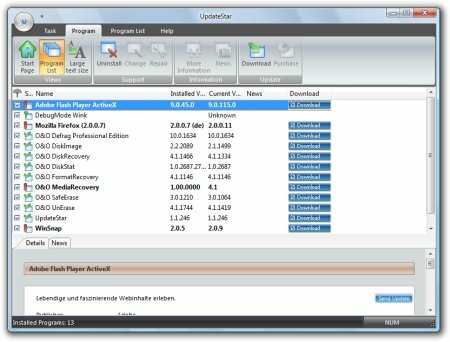 Once an update for one of your programs is available, UpdateStar lets you know and offers you information and download options as well as licensing links in the case of a commercial product or update. UpdateStar puts an end to wasted time searching for possible updates. You want to stay up-to-date with your software? Use UpdateStar.